*NO PURCHASE NECESSARY. Begins at 12:00 PM ET on 7/2/18 and ends at 11:59:59 PM ET on 4/30/19. Includes 10 separate entry periods. Open only to legal residents of the 50 U.S./DC (excluding UT) who are 21 years of age or older. Click here for Official Rules including how to enter, entry periods, odds of winning, prize details, and restrictions. Void in Utah and where prohibited. No alcoholic beverages are awarded as part of any prize. Data rates may apply. Sponsor: Treasury Wine Estates Americas Company, Napa, CA 94558. 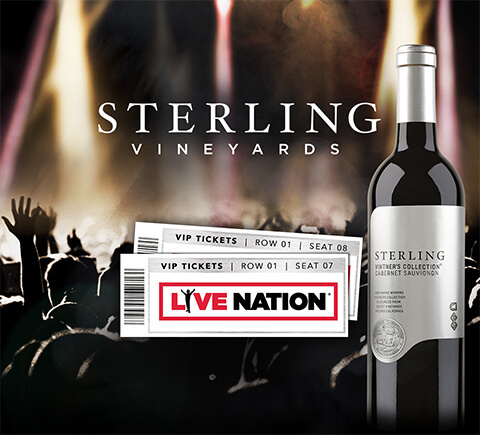 Live Nation Worldwide, Inc. is not a sponsor of the sweepstakes, and is in no way responsible for the administration of the sweepstakes, the verification of winners, or the fulfillment of prizing. All inquiries regarding the sweepstakes should be directed to Treasury Wine Estates Americas Company and not to Live Nation Worldwide, Inc.